Condo developers have radically reshaped 23rd Street in Chelsea over the last couple years. The newest arrival will be a 15-story project at 128 West 23rd Street, next to Anbau’s Citizen condos between Sixth and Seventh avenues. Neighborhood real estate firm Pan Brothers filed plans for the 33-unit development last week. The building would hold 33 units spread across 40,230 square feet of residential space, for average units measuring 1,230 square feet. There would be 3,600 square feet of retail on the ground floor, followed by three units each on the second through seventh floors, two units apiece on the next seven floors, and a full-floor penthouse with a private roof deck on the top story. Future condo dwellers will have access to a handful of amenities, including a gym, lounge, and shared terrace on the second floor, and a shared roof deck on the top floor. The development will also have tenant storage and bike parking. Kutnicki Bernstein Architects are designing the building. They’re behind a few other condo projects nearby, including the Tempo at 300 East 23rd Street, 300 West 18th Street, and 245 West 14th Street. Architect Sven Peters created this sleek, passive-house design for 128 West 23rd Street a while back, but it was probably mocked up to help market the property. 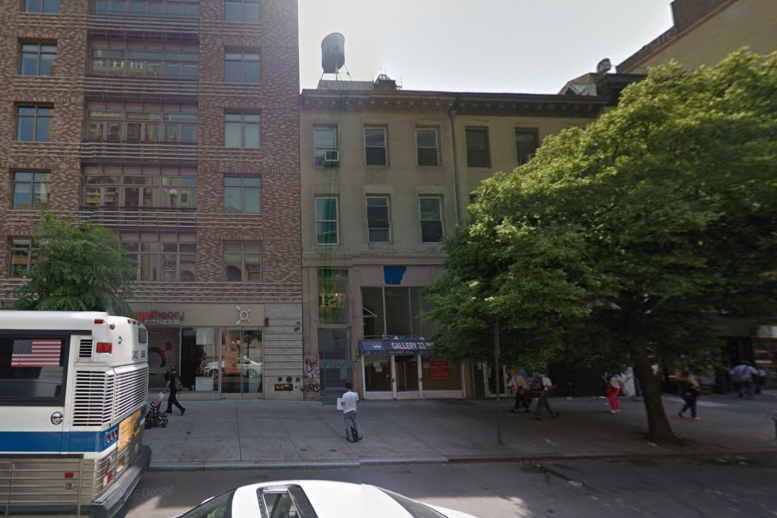 Pan Brothers, which has offices a block east of here near Madison Square Park, purchased the three-story commercial building at no. 128 for $4,050,000 in 2014. The development site also includes an identical building at no. 130, but Pan Brothers hasn’t finalized the sale yet. 1 Comment on "Permits Filed: 128 West 23rd Street, Chelsea"
Congratulations on new permits filed, come to the project with 15-story and cool design rendering is.